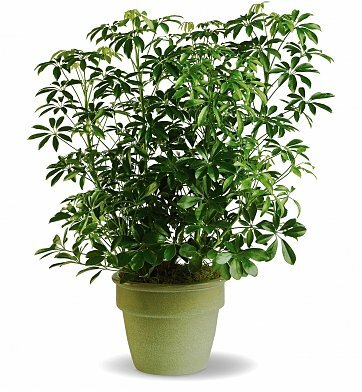 Also known as the umbrella plant due to its lovely arching leafy branches, the arboricola can live for years and lend its graceful beauty to any home or office. Standing tall in a ceramic planter, this arboricola is the perfect choice when wanting to give a lasting gift that the recipient is sure to appreciate. We ship the largest, healthiest arboricola plants available to ensure a grand impression is made on your behalf. Arrives in a stylish ceramic pot. Measures approximately 27" x 34". Amazing Arboricola Plant is a hand delivered gift. These gifts are delivered by one of our local design centers located throughout the United States and Canada. Same day delivery is available for most gifts when ordered before the cutoff time. The cutoff time for Amazing Arboricola Plant is 2 PM in the recipient's time zone. The plant was beautiful and most appreciated.